I don’t read a lot of non-fiction, but I really enjoy Kaling’s sense of humor and think she is an inspiration to a lot of people. The story of Adam and Eve has always fascinated me, for so many reasons that I won’t go into here, since you would be reading 10 pages or so of reasons. So I’m interested to see where Young goes with this story. Because his shorts stories are awesome, and they are short, so I don’t have to dedicate a lot of time to them, not like his 600 page books. Not that those aren’t awesome too. I love the website. I love wine. I imagine I will love this book. A cozy mystery with two cats (one that loves listening to Barry Manilow, and really, who doesn’t) and their slave (I mean owner), that works in a library. Sounds like my life, except the stumbling over dead bodies part. This is book four in the Ribbon Ridge series. Love this series, and getting to know the various characters in the Archer Clan. If you enjoy contemporary romance, I highly recommend the series. I’m reading Maplecroft, the first book in the Lizzie Borden Series, and am really enjoying it. It’s a different take on the true story of Lizzie Borden who killed her family with an ax. So I’m excited to see how the story continues in Chapelwood. The main character is a salvager of space ships who gets by on life with cheap alcohol and one night stands. The excerpt sounds like a female description of Jayne from the TV series Firefly. I can not wait to read this one! What are some series that are finished that you haven't finished? Awesome list. I just bought Chapelwood after loving Maplecroft last year. 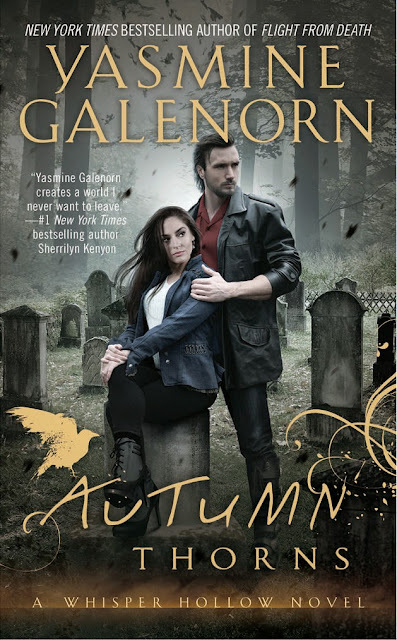 I adore Yasmine Galenorn and Faux Paw looks like a lot of fun! Thanks for sharing. Hope you enjoy them.